If you are in a scenario when your car breaks down at a quarter till two in the morning, what will you plan to do? 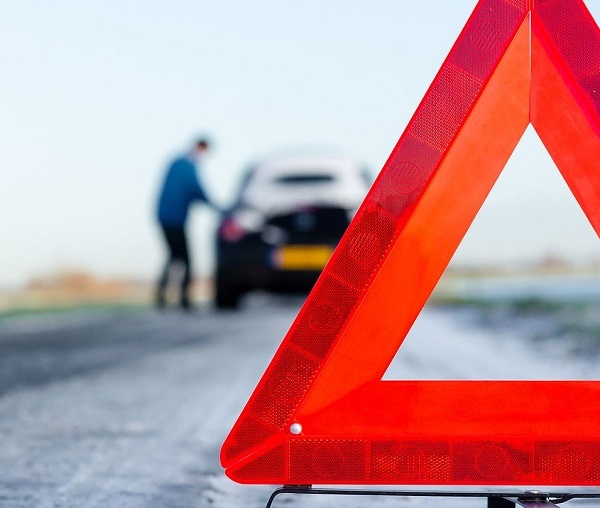 You can leave your car there, find an alternative way to get home, and come back later during the day when there is light and you can diagnose the problems of your car, but we do not recommend this as it can prove to be potentially dangerous to you. Who will you call? How often are your siblings, parents, aunts or uncles awake during the late hours of the evening to come to your aid and help fix your car? If you are in such situation, give us a call! Our tow truck drivers are always available 24-hour and are equipped with the tools and technology to properly deal with situations similar to yours on a daily basis. We Provide Solutions to Your Roadside Issues! If you are looking for tow truck in LA, you've come to the right place! Los Angeles is our area of expertise. We offer towing services for vehicles including cars, vans, trucks, motorcycles, and many others! With our professional towing team, you can be sure your cars will be safely transported to your desired locations. We can tow vehicles ranging from buses, trailers, motorhomes, RVs, semi-trucks and more. We can manage and safely move your high valued cars such as Lamborghini, Porsche, Maserati, Audi or other high-end cars. Besides towing 4-wheel vehicles, we can also tow or transport motorcycles. If you are involved in an accident, we can provide assistance to recover your overturned or damaged vehicles. Our roadside service team works round the clock to assist you! Flat or slashed tire - you're going to need a tire change if this is happening to you. Tire changes are difficult to do if you're a novice so feel free to contact our offices and have someone change our your flat tire with a spare today! Dead car battery - probably the most innocent of the roadside services because it happens usually without the car owners knowledge. If you left your car on overnight, or a long period of time, and your engine wasn't running, your car is probably going to need a jump start in the morning to get it back to running order. Out of gasoline - if you're on the road, possibly a freeway, and your car has run out of gasoline and you're miles away from a gas station, what's your first step? Give Towing LA a call today for a gas delivery immediately. Locked keys in car - it's not uncommon to us that this service is requested frequently. If your keys are locked inside of your car and you need someone to come and retrieve them, call us for a lockout today! Vehicle stranded in ditch - if you vehicle is immobilized and stuck in ditch, sand, mud, water or other obstacles, contact us and we can help pull out your vehicle. LA Towing is the best towing and roadside assistance provider in the area. We can be contacted 24-hour daily. Our staff and professional towing team are always present and ready for you no matter what your problem is. We make use of the most advanced tools, and our vehicles are equipped with all of the relevant tools and equipment needed to complete the work with 100 % satisfaction from our clients. In addition, we offer our clients pleasurable experience with no frustration. If you are take a couple of minutes and research towing and roadside assistance reviews and costs in Los Angeles, you will find that LA Towing provides cheap and affordable prices compared to the rest of the market. Our fast response times also mean you can get back on the road fast. Dependable and quick. Reasonable service fee (took my vehicle from Ktown to the valley) and the service representative was very friendly and professional. They have the best service in town and got to me in literally 30 minutes. I would recommend them to anyone and best part they open 24/7. Yesterday after waiting over an hour and calling them several times to complain, I googled Best Tow Service in LA and found LA Tow! I spoke with LA Tow then I called my towing service and ask if they could give LA Tow a call. They said yes! Within 25 minutes, Al the tow truck driver was at my front door! I will be requesting their services every time I need a tow.